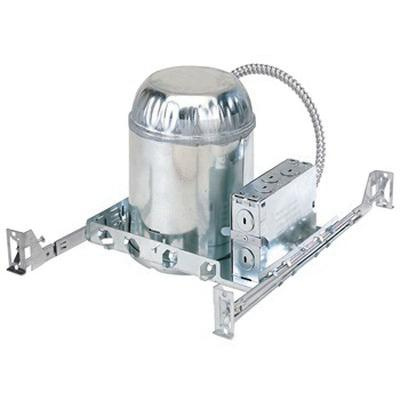 Nora Lighting 5-Inch Recessed dedicated new construction housing features 0.04-Inch steel construction. It accommodates 11 - 16.6-Watt LED lamp. It is insulated air-tight ceiling mountable and has cut out of size 5-5/8-inches. It measures 10-1/2-Inch x 7-1/4-Inch x 7-1/2-Inch. Housing is cULus listed, Energy Star certified, RoHS compliant and meets IESNA/ASTM standards. * Inventory displayed is accurate as of 04/19/2019 19:40 PDT.